The Abu Dhabi – London route has pretty much been ruled by Etihad since their introduction of their award-winning A380. However, British Airways are fighting back, with the announcement of their new 787-9 First Class product that will soon be flying the city pairs (and on to Muscat) Whilst the cabin still is nothing really compared to the suites found on Etihad’s flagship aircraft, these seats are a welcome step forward for British Airways, and for London based passengers travelling to Delhi, San Jose, Austin and Kuala Lumpur will be able to stretch out in what looks akin to a lavish oversized Bentley Continental. There are key hints at a new design direction for the carrier, which seems to be celebrating quintessential British style, such as quilted seats, chrome finishes, leather in abundance and a sleek warm-toned interior, with very carefully lit details, which mimics the recent interior design trend found in luxury hotels across the UK. 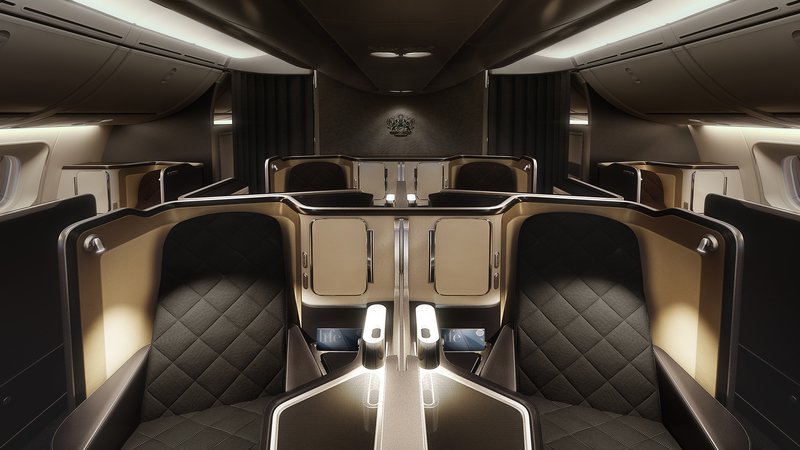 Whilst it’s not as private as other first-class products, and doesn’t feature the sliding doors that Etihad and Emirates supply their first class guests, these seats are staggered to still provide guests privacy, and with fares currently around £2,500 for First Class return to Abu Dhabi, they are very competitively priced against their competitors. 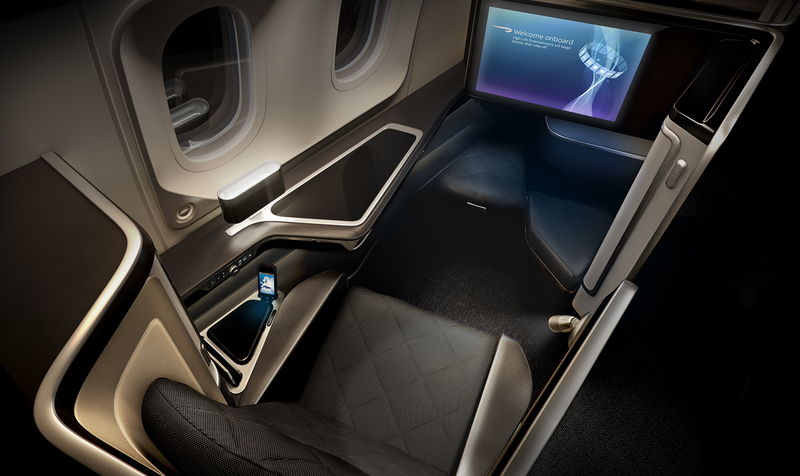 The angled seat provides BA guests with more legroom, however, we can’t help but wish there was a little more space on offer for the guests, as these seats, seem similar in size and space to those found on Cathay or Singapore Airlines business class cabins. But the trim and finish more than makes up for this, and this is what we are most excited about. There are a lot of Automotive style details here, from the seat controls, to contrast leather stitching and the elegant curves that wouldn’t be amiss in an Aston Martin. In a matter of weeks, the new cabin, with its 8 seats in a 1 x 2 x 1 configuration across two rows, has been painstakingly designed based on feedback from First customers, to put comfort at the heart of the experience and make the very best use of the more intimate space. Whilst the overarching product hasn’t really changed, there are some notable differences. The suites now include four new storage areas. A new ottoman next to the adjustable footstool has enough room for shoes, handbags and personal items, while the personal suiter for jackets and coats is now accessible without the customer having to move from their seat. A new locker positioned at eye-level is perfect for smaller personal effects such as tablets, spectacles, passport and wash-bags. A handy mirror has also been fitted to the inside of the locker door for personal grooming. Customers who need to charge any devices can now do so in a discreet stowage area next to their armrest. 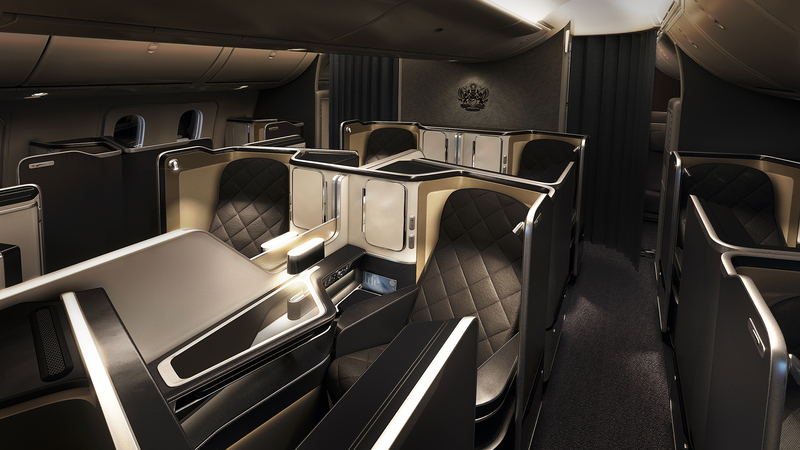 BA have shown attention to detail in almost every aspect of the seat. 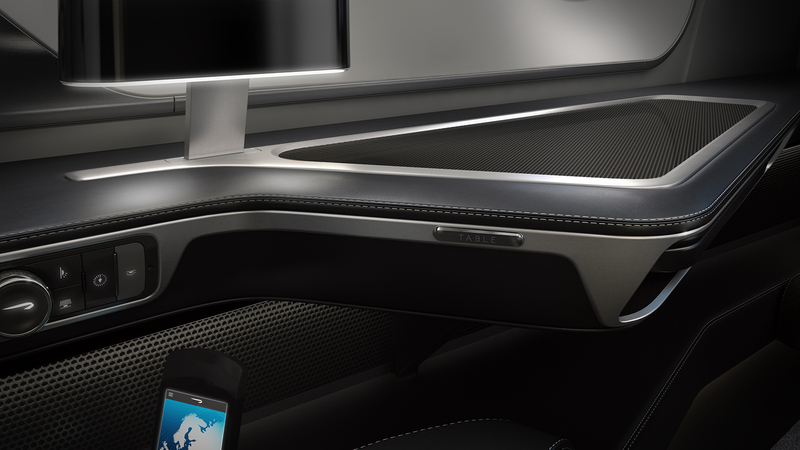 The seat and in-flight entertainment console has been updated with a new handset, much like a smartphone, integrated into the seat from which travellers can control their in-flight entertainment. 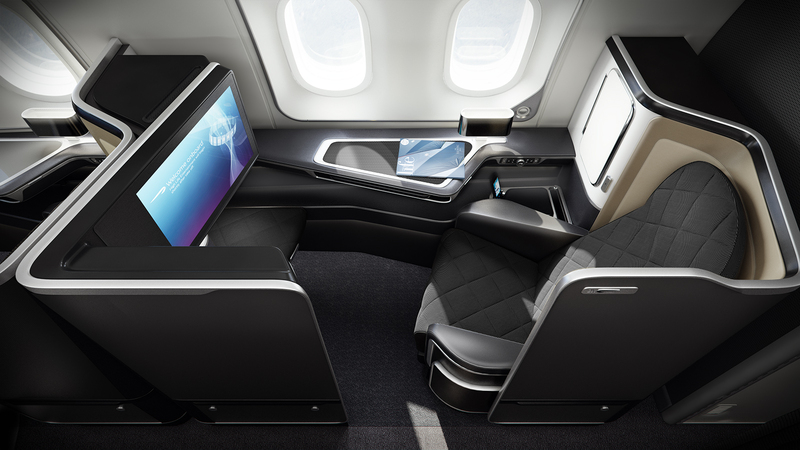 The new 23″ screen is lightyears better than its previous version, and is fixed in front of the passenger, meaning they will be able to enjoy gate-to-gate entertainment, without having to stow their television for take-off and landing. There have been no announcement yet if the new suites will be retrofitted on the carrier’s other aircraft. One thing is for sure, with these affordable prices mirroring the prices found in business class on other carriers, perhaps its time to start flying First once again.